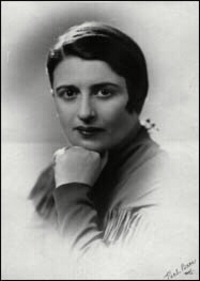 Anyone heard of Ayn Rand? Thing is, what is it to be selfish? Is it selfish to ride a bike everywhere, taking advantage of one’s freedom to roll to cruise through green lights and places where you have the right-of-way as carefully as you do through red lights and stopsigns? Is it selfish to use public transit when you feel like it, when the weather’s bad or when you need to travel with friends who don’t have a bike? Is it selfish to rent a car when you want one, taking advantage of the proximity of rental agencies and the ridiculous subsidies given to car infrastructure in North America? Shouldn’t we do our part and buy a car? After all, the major automobile industries are taking such a hit. Word is Wagoner of GM (that genetically modified car company) may not get as big a bonus this year as he’s used to, thanks in part to the chronic “junk bond” status of the company he runs. Shouldn’t we who have the means all run out and “buy” a car? Of course by “buy” we mean a no-money-down four-year loan from the finance company run by the automobile manufacturer (the only part of many of them actually to operate in the black). By conservative standards, we who don’t own a car save $8,000 to 12,000 per year by our act of parsimony. Isn’t it pretty selfish of us to keep our money in our pocket? Luckily, like that second-greatest American architect Frank Wright, we have Aynie on side. In our once-a-month gag reflex check of the Nazional Past, we find on page FP6 (Saturday, August13, 2005) the news that GM, that genetically modified automobile company, has improved its media reputation considerably. Apparently, the Red Flag event analysis in the ALLDERBLOB was not weighted in the judge’s consideration. The judge? A public relations hack outfit [sorry, that’s “media consultancy firm” to you –ed.] named Delahaye. According to them (and you could read it here, if only the dotcom had their connections up to snuff), GM’s reputation, sullied by their addiction to junk (bonds), has been buffed by the positive light thrown by media coverage of their inventory clearance sale–we mean their kind offer to let people buy devalued merchandise at (ahem) the same price their lucky employees pay (never mind how, last time we looked, the employee parking lot in Oshawa was filled with Toy Otas). We say it doesn’t matter. You really cannot buff a turd until it’s fully fossilized. Give GM a few more years for that. Three stories of note fell from the business pages of “Canada’s paper of record” the other day. They seemed to speak to each other, although it’s taken the ALLDERBLOB some time and labour to piece together the veil of connection. Is this bad news? Or are these figures, reported on August 4 2005 simply, “as some economists say” (Grant quotes exactly two) masking “robust job creation?” The fact is, every year the U.S. loses jobs, and it creates jobs. Somehow, “unemployment numbers” are actually “falling” down there. From folks losing heart and giving up the job search entirely? From folks finding new McCrappy jobs in the service sector? Actually, Tavia has a theory. In a perfect world, the auto industry would continue to slump, shedding jobs and political influence like those limbs of ancient saguaro hit by David Grundman, the original (Darwin award-winning) cactus plugging cowboy. Just hope they don’t fall on you. 2) Elsewhere in the same newspaper we see sorry news from Canada: “Big Three’s Canadian auto sales surge,” according to the Glob’s Greg Keenan, “auto industry reporter” [talk about yer reasons to shoot yourself –ed.] The story is, in response to the so-called “red flag” event (discussed here some weeks back) of Ford, GM and Chrysler, vehicle sales by the “Big Three” were up an average of 25% in July, compared with the year previous. So the advertised deep price cuts paid off? Turns out vehicle sales at BMW were up 43%, while at Mercedes Benz it was 57%. No one saw either of those companies advertising “employee prices” (although no doubt they did something just as condescending). Nonetheless, according to Keenan, “[a] key question is what will happen to the Big Three sales when they drop their employee discount programs… .” He turns to a carhead spokesmodel [that’s “consulting firm J.D. Power and Associates” to you –ed.] for the last word: “It will take a month or two of heavy marketing [our emphasis] to convince buyers that they’re still getting good deals” (after the red flag is pulled down). More heavy marketing. Well, ain’t that peachy. And quelle surprise. The position of the Allderblob is well known: there ought to be a law against heavy marketing in public places. At least for the automobile. “The struggling U.S. automobile industry may do well to take some lessons from its non-motorized brethren because bicycles are selling like hotcakes. Lance Armstrong? Or Peak Oil? Fact is, the 19 million bicycles sold inthe U.S. last year is just one point shy of the 20 million sold yearly “during the oil embargo of the early 1970s,” according to Tim Blumenthal of “Bikes Belong,” a “national [bicycle] industry association” (J.D. Power, sit down!). Are we coming back to our senses? Or does the crisis of crisis have to deepen? It’s old news apparently, but since we don’t (as society) have a category of nightly entertainment called “olds,” old news is still “news–” at least to them as haven’t heard it before. No, we’re not talking about Michael Jackson [who? –ed.] ‘s acquittal earlier this year, although sadly the ALLDERBLOB missed comment on that one. 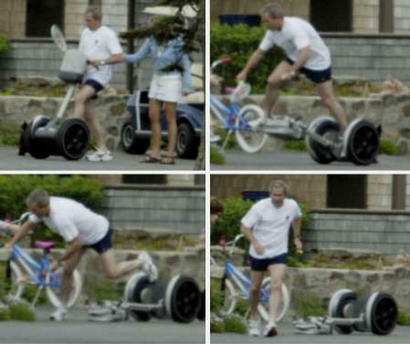 We’re not talking about Dean Kamen’s Segway, that upright wheelchair with the self-righting mode (at least until its batteries run low or some doofus gets aboard) that was announced with such fanfare back in 2001. It’s true, the ALLDERBLOB has yet to write about the Segway either. And no, we’re not even talking about TAPT, that sugar substitute folks all over England are cooking up in their bathtubs, the “Ruckus in a Rucksack” available to anyone for the price of a decent meal for two (not including vino or gratuity)–although that’s another bit of old news that those funny Britons are making new again. It’s something else that surfaced in 2001 or so, at least as shown by our relentless research [shurely you mean your Google on the topic? –ed]. We mean that most elusive of inventions, the car that would lead us to question our stand that all cars are evil; that no car be advertised, anywhere, ever. The car that would make us think twice about our rage against the machine. The car, in short, that would shut the ALLDERBLOB’s yap for good: the car we could see ourselves buying. Negre’s CAT (compressed air technology)-car, or “Aircar,” seems this year to be close to production. Weighing some 720 kg, it’s just six inches longer than a Daimler-Chrysler “Smart Car,” but able to seat three and providing greater trunk space. Its power-source is a tank of compressed air. Air, like any gas, cools when compressed. The release of the compressed gas, at -15 Celsius, moves a piston by a heat transfer process akin, in this reader’s imagination, to the power created by the mysterious Stirling engine. As a side benefit, this cold air emission may be circulated within the cabin, if needed, to provide “air conditioning” for the driver and occupants. It’s just air after all. You can breathe it. The Aircar as designed would have a range of 120 miles per tank of air, and a maximum speed of 60 miles per hour. Or is that 120 km at 60 km per hour. Seems no one is in agreement on that [get it together you people! –ed]. In any case, if it worked, and if the inventor’s proposed filling stations were available, a three-minute fill-up (costing 1.5 euros, or approximately $CDN 3.00, according to the fantasy) would suffice for the needs of most citydwellers for an average day’s driving. So is the ALLDERBLOB ready to sign up? Consider the airtank, for starters. This tank would need to be filled at a specialized station, not yet in existence, according to the inventor. Well that’s fine–it’s just compressed air after all, not like you have to split the atom to get that…or do you? The alternative to the special station, as described by the inventor, is a home air compressor run on standard electricity–a process that would take four hours continuous electricity use, we’re told. Okay, that’s glitch number one: electricity requires coal, or nukes, or enviro-destructing hydro power, at least in Canada. Hmm. Can we look beyond that, to a future world, where wind and solar power provides all our electrical needs? [you’ve lost me –ed]. But then there is the Stirling engine-like performance the cooled compressed air theoretically provides, this so-called “heat transfer:” would it work when ambient air temperature is -20 C? That is to say, during a typical January night in Toronto? This is not a question addressed on the developer’s website, but nevermind [please. –ed]. The critical question, however, is that of urban design. The problem with the “aircar,” as with any car, is the space it takes up. The space it takes up ferrying its (typically) lone occupant to Starbucks. The space it takes up downtown in a parking lot, The space it takes up home in the driveway. The spake it takes up enroute. It wouldn’t be so bad if it could just use that space when needed. That is, if the space the car takes up could somehow roll up on itself and return to nature, to flowers or forest when the car isn’t present. But actually, that doesn’t happen. The space a car takes up is three-fold: the empty place it leaves behind, the empty place it’s going to, and the place it fills at each point along the way. It’s even worse than that, because our society’s functioning is predicated on their being an empty parking space available wherever you go. If not, someone’s wasting your tax dollars. Compressed air power or no, the point is still this: what a stupid waste of space. Now, if that magical tank of air could power a bicycle, we might have something to talk about [wait a minute–isn’t that what lungs are for? –ed]. You are currently browsing the the ALLDERBLOB blog archives for August, 2005.